Why Should I Exhibit or Sponsor? The National Association of Social Workers Oklahoma Chapter Annual Conference is a marketing medium that offers the most cost-effective way to reach potential customers and future employees through exhibiting, sponsorships and networking. You’ll connect with more qualified decision-makers in two days than you could all year. It is an opportunity to have immediate interaction with your customers and establish and deepen those relationships. It also gives you an opportunity to interact with other vendors who also might be your potential customers. 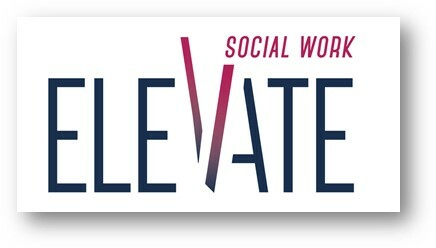 NASW-Oklahoma is the premier social work organization in the state. Its members work in all areas of practice; including but not limited to health care settings, community agencies, government, academia, business, nursing homes, schools and private practice. Experience the Networking Possibilities... the NASW-Oklahoma Annual Conference is the largest and longest running social work conference in the State of Oklahoma! Advertise in the on-site Conference Site Program. There are several different sponsorship opportunities for exhibitors that offer different advertising packages. Consider sponsoring the Early Bird Brochure, which goes out to social workers all over Oklahoma, by placing a banner ad. Sign up as a special NASW-Oklahoma Sponsor to include a hotlink on the site. Be a Room Sponsor. Sessions are grouped into rooms according to subject matter. Sponsoring a room has special perks including signage and introduction before each session. Sponsor an event or special convention feature, i.e. coffee break. Digital Ads. This year, we are adding special opportunities to be featured on video screens strategically placed throughout the venue. Rolling digital ads are a great way to be noticed. Register Early. With Early Bird Advertising, your name is there. Once you get your booth assignment, do a pre-show mailer to your customers and entice them to come by and see you. I.E. "If you bring this card by our booth, your name will be entered twice in a drawing." Be present at your booth during prime hours. Have an interactive booth such as with a game. Interact with other vendors. They are your potential customers as well. Extend the life of the conference by following up with attendees through a letter to set up further contacts. I.E. "It was great meeting you at the NASW-Oklahoma Conference. I will be calling you on..."
Host a fun event while the conference is going on, preferably after the exhibit hall is closed for the day. I.E. A "Social in the Bar" or reception for your customers and/or potential customers. After the conference, send out a thank you to participants who visited your booth. Remember you never know who will be your next customer.